Greensboro, N.C. – The N.C. Bar Association Business Law Section recently honored Carruthers & Roth attorney June Basden with its 2017 Distinguished Service Award in recognition of her extraordinary commitment to the organization. The award is the Business Law Section’s highest honor – designed to recognize and to encourage extraordinary service to the section, the legal profession and the public. Basden has chaired the Business Law Section and has served as both a Council Member and Secretary of State Liaison. 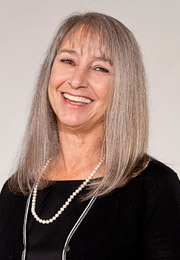 She has led committees for Continuing Law Education, Nominating and the Distinguished Service Award and has been active in planning special events, including an annual meeting and the Business Law Section’s 25th anniversary celebration. She also was instrumental in launching the Distinguished Service Award program. Basden currently serves as one of the Business Law Section’s representatives on the N.C. Bar Association’s Internet and Regulations Task Force. Basden, who is both an attorney and a certified public accountant, is part of the Carruthers & Roth banking and finance practice. She represents national and regional banks, financial institutions and commercial lenders in a variety of finance transactions, with a special focus on commercial lending and creditors’ rights. She is a fellow of the American College of Commercial Finance Lawyers (ACCFL) and of the American Bar Foundation. She also is active in a number of law and accounting organizations at the local, state and national level. The Distinguished Service Award was presented last month during the annual meeting of the N.C. Bar Association Business Law Section.